You are here: Home / Salad / Fresh Corn Salad! A summer staple! 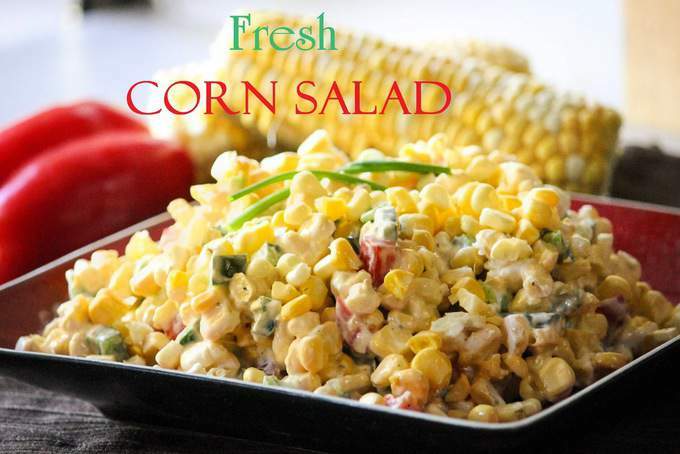 All you need is fresh corn, peppers, maybe some onions…a little sour cream and you have a crunchy yummy summer salad! I used Polano and Red Pepper but you could substitute most anything. Avacodo would be nice too! I’m keeping this commentary simple…just like this salad! Mix it all together…chill for about 30 minutes to meld the flavor and done! How long does this corn salad keep. I’d say three days before it loses its crunch! Well I see that you posted this a couple of years ago…but got it today on a Pinterest email…So, folks are still pinning it! Love fresh corn and I will definitely be making this soon! Thanks for sharing! Love your Blog by the way! Thank you Charlotte! 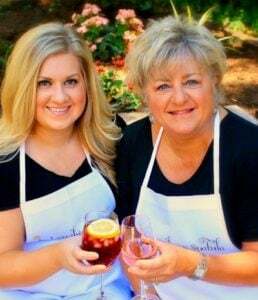 This recipe is on my list of recipe-redo’s for a better pic! It’s still something I make all summer long! This is a very simple but tasty salad.. I did add some red onion. You could add other ingredients also if you wanted a little fancier salad.but it’s okay as is for an everyday meal. Love the idea of the red onion and so glad you like it! Made this tonight for the first Husky game of the season. It was so refreshing. I used corn from Carpinito’s (last years Candy Corn) that I blanched, froze and air sucked. Served it with Buffalo Chicken Wings. YUM! Thanks Marissa! I hope you give it a try. Your blog is beautiful by the way! This looks really good. You don’t have to cook the corn? No cooking of the corn! You will be surprised by the crunchy fresh texture and how yummy it is! Hope you love it!